Creativity has a way of creating unexpected results. You can create what you set out to do, and you achieve the results you want. You can create what you set out to do, and don’t achieve the results you want. You don’t create what you set out to do, and the result is better than you expected. Those moments are rare, but they are usually the most interesting stories. Keith Richards had a great example of a creative change/result in his autobiography. In 1977 the Rolling Stones were in Paris to record many songs that would round out their next 3 albums, Some Girls, Emotional Rescue and Tattoo You. During these sessions they recorded two songs, “Miss You” and “Start Me Up” on the same day. “Miss You” exemplified the disco, club scene sound that Keith Richards hated. That was part of the oil/vinegar tension between him and Mick — never really on the same page about the musical direction of the band. “Start Me Up” had been a work in progress for years. Keith Richards, living in Jamaica at the time, and heavily into the reggae sound, wrote it to be a reggae song. Yeah, I know, think about that. But, he never got the reggae sound he wanted, so it just sat on the shelf. When the Stones convened in Paris, Keith dusted off “Start Me Up” and changed it. Tired of the disco sound, he played it straight. Straight, as in the rock and roll version we all know, with the classic riff intro. After the take, everyone said “yeah, that sounded good” except Keith. According to producer Chris Kimsey, Keith said “it’s all right, but sounds like something I’ve heard on the radio. It should be a reggae song.” End of story — it’s supposed to be a reggae song, so he instructed the producer to wipe the master. Yep, wipe that song because it just wasn’t what he was looking for, it wasn’t the sound, it wasn’t reggae, it needed to be fiddled with more. Chris Kimsey heard the order and did not reply. He didn’t wipe the masters. And three years later, the rock version of “Start Me Up” was put on Tattoo You, first song, side one. 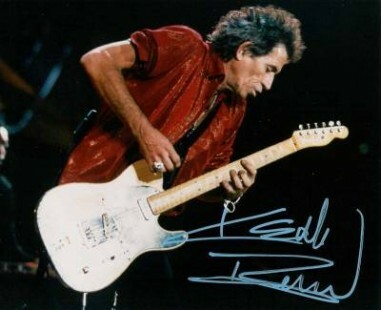 It became one of the signature songs of the Stones. Keith Richards never thought a rock version of the song was worth having, he was only focused on his original idea, reggae. Would the reggae version have been as large a hit as the rock version? Probably not. This is a classic example of not creating what you set out to do, and the result becoming better than expected. The marketplace has an amazing way of telling you exactly what they like, whether one’s personal preference is satisfied or not. Start me up.